Million Dollar Marketing Blog: MY SMALL EMAIL TO TOP CEO'S AND HR RECRUITERS.......TO LESSEN THE EMPLOYEE TURN OVER...!!!!!!! 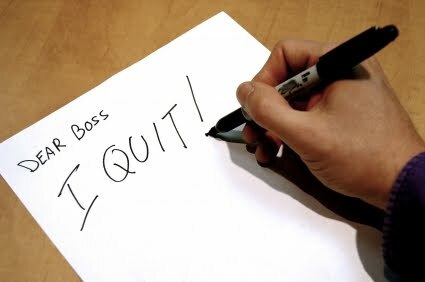 MY SMALL EMAIL TO TOP CEO'S AND HR RECRUITERS.......TO LESSEN THE EMPLOYEE TURN OVER...!!!!!!! with due respect i want to state that employee turnover is not just a Human Resources Issue. When an employee leaves a company, the employee takes with him knowledge and experience, that which cannot be monetarily measured and that cannot be easily recreated. THAT'S WHY MY TOPIC FOR THE DAY IS CONCERNED WITH, HOW TO HOLD ON THE RUNNING EMPLOYEES OF THIS CENTURY. After going through some hundreds of question's of my dear readers, i came to know that the WHOLE IT world just revolves around the big names only nothing else.The general question asked BY THE INTERVIEWER or NOW A DAYS BY BRIDE'S ALSO in every every doorstep is "Do you work in a MNC's like IBM,WIPRO OR INFOSYS....No!!!!!!!!!! as we all know that higher turnover can cost a company millions of dollars per year and can slow down productivity! It is important for managers to find ways to motivate and reward employees that don't break a budget line item, but still make the employee feel needed! It is not the only case, rather every start up employee has faced the same expressions sometimes from their elderly relatives or some nosy neighbors and at times even from peers, who are employed with the biggies. These taunts may lead to frustrations or inferiority complex and the employee may end up jumping ships to a bigger organization. "Some of the male employees in start ups, quit their jobs as many of the brides' parents reject them as grooms since they don't work in big companies. Following are certain tips that employers may keep in mind to ensure they don't lose out the people they want to retain. At the outset, one may think a start up is already a small group, hence a mini group is quite ambiguous. Herein comes the glitch. Name each responsibility, for instance, if you have assigned someone, apart from yourself, with dealing with the clients - designate the person as 'Client Relationship Head" or if there's someone who comes up with decent ideas term him the 'Innovation Head'. And these heads can gradually form teams of three-four people under them. You can also arrange weekend parties or extra-curricular activities on weekends.Even 'Kaizen' helps alot. I think, most of these things depend on employee too whether he or she willing to continue or not. Sometimes people do change their jobs because of they just need a change. Management should allow their employees to speak freely and respond positively. Clearly put forth your expectations from them and set the milestones. There should be a sense of ownership built within the core people as you make them responsible for their own departments. The person should be made owner of the tasks which are assigned to him i.e. he have to finish it however, if he needs involvement/help from anyone (including founder etc. ), he is the boss on that specific task and can make anyone involve if required. If they're asking for added responsibilities, more flexible hours or on-the-job training, be amenable. Also, try asking them for help, this would get them emotionally involved. A person who is serious about a career in a start up is ambitious and hence, the founders should make it a point to meet the employees' expectations. For instance, they need to highlight the progress of the firm and also the future plans for the company growth. This transparency will help them to form a closer bond with the company. Being recognized gives anyone a boost. So, dole out incentives based on performance, may be less in cash and more in kind. "If the employee is a long-term bet, the management can introduce a profit-sharing 'clause', whereby they have a percentage of the profit earned by the company. After all, the sense of achievement is what most employees look out in their career life.because we people fill the requirement of achievement along the line with brand name. A program under which employees regularly accumulate shares and may ultimately assume control of the company.It is another lucrative option to keep your employees intact, though employees are still to realize its value. You can introduce shares of your company and distribute certain numbers within the company. Esops make start-ups competitive as against bigger companies who are paying 15-30 percent higher salaries as you make your employees a part of the company. while saying all such tips,we should also know that dream in unfulfilled,These few points may help them create a bond with the start up and stay loyal. Next time an employee turns up with a weird excuse to run away from the company, run a check if all of these methods were tried on him or her.